Through the FuelFox app, users can quickly become registered members of FuelFox. Once registered, members easily schedule future gas tank fill-ups with FuelFox. In addition to filling-up the vehicle, FuelFox drivers (better known as “Ambassadors”) also clean front windshields, check tire treads, gauge tire pressure and notify the member of any potential issues with their vehicle. FuelFox offers the amenities of a full-service gas station at self-service pricing. Safety is of the highest importance within the FuelFox culture. FuelFox drivers (better known as Ambassadors) are firefighters who have extensive training in hazardous materials. 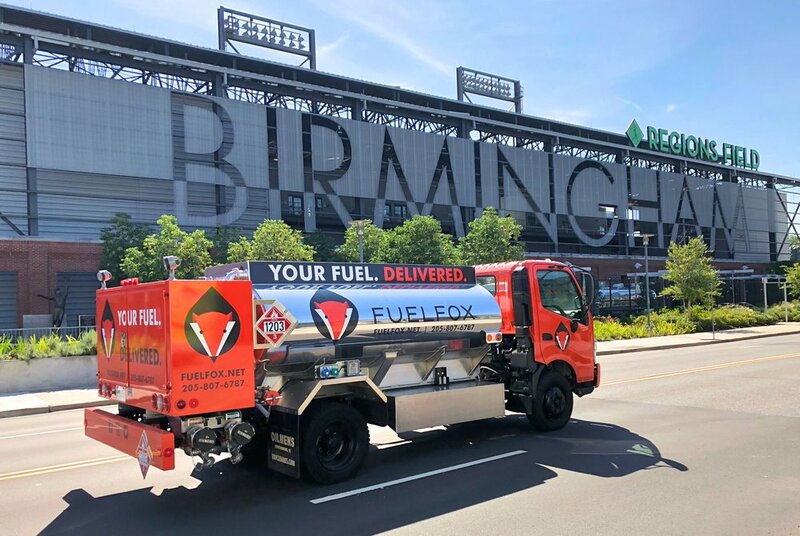 FuelFox is an adequately insured, safe, and licensed fuel retailer meeting all EPA, DOT, fire and air quality requirements. So FuelFox wants to know: How much is your time worth? Go to FuelFox.net to sign up to become one of the first to know when FuelFox is available in your area. Also follow FuelFox on social media to receive updates on the launch! WHAT IS A SOCIAL MEDIA INFLUENCER AND HOW DO THEY HELP YOUR BRAND? What does it mean to be influential & how do you become influential? If you are affecting people’s decisions, you are an influencer. This power is usually created by authority, knowledge, position, or relationship. Typically, after becoming active with a particular niche, the influence becomes stronger and more credible. In 2017 81% of the United States population had a social media profile. Social media influencers use social media through the credibility they have established in a specific industry. Influencers use their social media platforms to create content based off of a particular niche that they have built knowledge or expertise in. In other words, social media influencers are recognized as credible sources. For this reason, they generate a large following on their social network. Social media influencers fall into three main categories: celebrities, industry experts, and bloggers. Celebrities are obviously social media influencers due to their popularity. Being well known automatically generates a large number of followers. Industry experts and thought leaders have gained respect because of their qualifications, position, or experience. A lot of their influence comes from the reputation of their workplace. Journalists are popular industry expert influencers. Bloggers develop followers from a particular niche that they share a similar interest in. They create their power of influence through authentic and active relationships. Bloggers are typically more of your everyday people. This relatability generates respect and trust from their audience(s). Note: To be an influencer, an individual doesn’t always need to reach a large audience, sometimes reaching a small niche audience can be just as valuable. Why should brands use social media influencers? Brands are always looking for ways to influence their consumers. According to The Telegraphthe average American spends almost two hours scanning carious social media platforms. So, why would brands not grab hold of this opportunity? By using social media influencers, a brand creates a quick and cost effective approach to reaching a wide audience. The use of social media influencers also builds trust between consumers and the brand, eliminates ad blockers, and often is the only way to reach particular demographics such as: millennials and Generation Z. How can brands use social media influencers? Once brands realize social media influencers are the way to go, they can start taking steps towards growing their online audience. Two strong directions would be: quest posting and sponsored posts. Guest posting is writing or publishing work on someone else’s social media platform. This strategy helps build relationships, can function as a search engine, and it introduces new people to your brand. Another way brands can utilize influencers is with sponsored posts. Brands can utilize advertising dollars to sponsor a post featuring an influencer. By using an influencer’s clout, a brand can maximize reach, increase effectiveness, and lend credibility to their products. Social media has taken over. Brands have no choice but to reach audiences through iPhone and computer screens. All it takes is for Selena Gomez to post a picture on Instagram wearing your shoes, compliment them, tag the company, and BAM sales rise. Social media is how the world keeps up with its surroundings: places to go, foods to eat, clothes to wear. It has a unique way of triggering our memories. So, when we go to purchase your next meal, we think about our best friend’s cousin’s food post from last Tuesday. In other words, social media platforms do the work FOR us! Grab a social media influencer, sit back, and watch your audience grow. The popularity of social media has had a huge impact on the marketing and PR world. 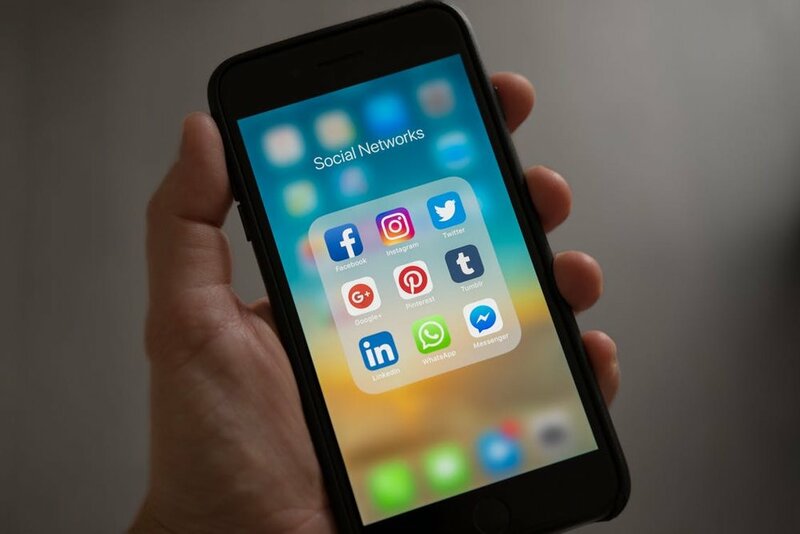 Since its origin, social media has quickly become one of the most popular PR techniques for businesses across the board. Maintaining a positive image on social media is not only critical for success, but it can also be a fun way to showcase brand creativity. One of the greatest marketing aspects of social media is that it is constantly updating and evolving. Here are some PR and Social Media things we are loving this week! First let’s begin with my personal favorite, Instagram. This is one of Instagram’s newest and most overdue features. Clickable links were already available in Instagram bios, but as of late March, users can also include live links to other Instagram profiles in their bios. Adding an @ sign in your bio allows your followers to get to other profiles you associate with quickly and easily. When you mention another account in your profile, they receive a notification and can choose to remove or accept the link from your profile to theirs. In addition, users can also add functioning hashtags in their bios. Including a hashtag in your Instagram bio allows users to be connected to a hashtag page which contains other posts that include that same hashtag. Branded hashtags are a big PR tool over social media, and Instagram just created a way to expand on this! The Data Portability tool that Instagram is reportedly developing will allow users to download the content they have previously uploaded onto Instagram. This content includes pictures, videos, and possibly direct messages. The reported development of a Data Portability Tool is more or less related to staying compliant with the upcoming European GDPR privacy law, which requires data portability. Data portability allows users to download their content and potentially upload it on another form of social media. This is a great addition to Instagram because unlike Facebook, Instagram users were unable to save or download images off of any profiles—including their own. This addition is sure to help even the playing field and give Instagram users more control over their content. Instagram took their live broadcast feature up a notch by allowing users and brands the ability to broadcast live with a guest. Using a split screen format, this can be a fun feature for friends or a strategic branding technique for businesses. This is a great feature for brands because they can invite business partners or even social media influencers to co-host a live broadcast session. Incorporating other brands or influencers can help generate a large amount of attention. In addition, if a broadcast achieves a significant following, it can show up on Instagram’s Explore tab and receive more press. In a world of increasing video content, Instagram created the perfect touch! At first, Instagram’s addition of stories got some mixed emotions for “copying snapchat,” but let’s be honest—now we’re obsessed. Although Instagram wasn’t the first to come up with a story, they were the first to feature voting polls on their stories. Poll voting through Instagram stories is a game changer because it allows companies to interact with their followers and get direct feedback from them. Just recently, Instagram updated this feature even further and released the emoji slider poll. This new feature lets users answer questions by sliding an emoji based on their agreement or disagreement with your statement. The addition of an emoji allows users to add more detail to the tone of the question, and the option to slide the emoji to an individual desired length allows for a wider and more personalized range of responses. Facebook might be older than Instagram, but that doesn’t mean it can’t keep up.Creating a video strategy is an important part of maintaining relevance in the social media world. Video content in any form has become tremendously popular over the last few years. For example, YouTube has become one of the most popular forms of social media for the younger generation due to the new trend of vlogging, AKA video blogging. Facebook recognized the growing trend of video content, and in response created Facebook Watch. Watch is a platform for watching TV-like shows via Facebook. Users will see shows based on their interests and what their friends are watching, thanks to highlights like “Most Talked About.” Watch is a great addition to Facebook because it gives users the content they are most interested in, and it allows brands to target and therefore increase viewers based on their interests. 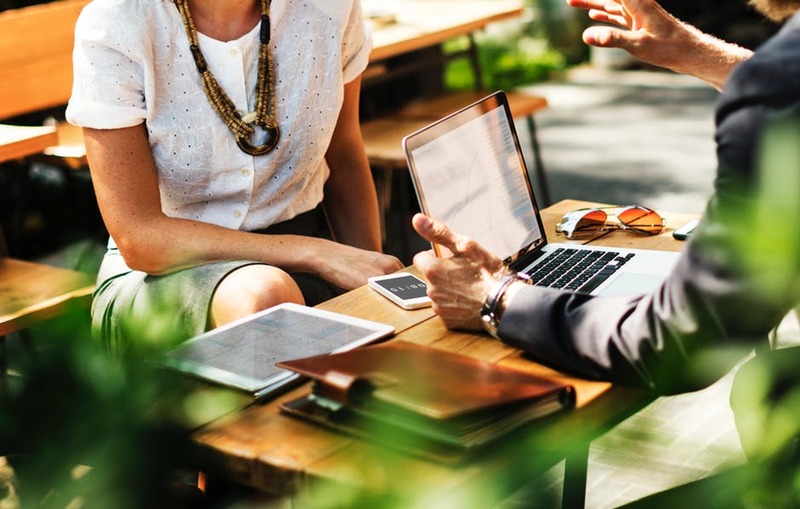 Interviewing is a cornerstone of the job search process— from interview etiquette to researching the company beforehand, interviews have the power to make or break your potential job offer. Although an interview opportunity indicates an employer’s interest, it is not a time for you to let your guard down— it is an imperative moment to prove your worth. Statistics suggest 33 percent of employers know within the first 90 seconds of an interview whether or not they are going to hire you. Let’s review some common interview mistakes to help you impress the hiring manager and nail your interview. It is essential to research a company before interviewing for a position with them. Being aware of a company’s culture, values, mission and business allows you to more genuinely express how your skills will serve as an asset to them. You are most likely competing against a group of candidates, so be knowledgeable on the company’s recent news and activities to generate an interactive conversation to help you stand out from the rest of the candidates. To promote authentic conversation, you need to be able to competently discuss the company’s business. Plus, research will help you feel prepared for your interview, thus will calm your pre-interview nerves. Every interview you have will be unique, but all guaranteed similar in one way—the inevitable elevator pitch delivery. This question, also known as the “tell me about yourself” question, can be a make-or-break component of your interview. This is a chance, and possibly your only chance, to point the conversation in any direction you want. A common misconception is that you will be able to wing an elevator pitch. In reality, your elevator pitch should be crafted and rehearsed beforehand. An elevator pitch should address who you are, what you do, why you do it and why you are the best at it. Keep this short and to the point, but do not sell yourself short—use this opportunity to catch the employers attention. Most importantly, your elevator pitch should continually develop and transform. Tailor your pitch to fit the culture, values and necessary skills of the job you are pursuing. Body language makes up 55 percent of communication. Poor body language suggests a lack of interest. It is crucial to be aware of your body language, ensuring you are sitting up straight and maintaining eye contact throughout your interview. Always offer a firm handshake. It is expected to be nervous during an interview but try not to channel your nerves into body language by fidgeting and crossing your arms. Smile often and remain engaged in the conversation. Prospective employers want to hire positive people who work well with others, regardless of hardships. Employers look for potential employees that persevere through difficult situations. Speaking poorly of previous employers or coworkers automatically reveals a bad attitude and a lack of respect. Prepare for tough and predictable questions such as “tell me about a time that you struggled with a coworker.” Do not resort to speaking poorly of previous colleagues. Instead, focus on how you handled the situation, how you could have changed and what you learned from the experience. Interviews are a two-way street. In order to have a successful interview, both the employer and interviewee should encourage conversation. When you are offered a chance to ask questions, do not turn this opportunity down. Naturally, people participate in conversations that interest them. An employer may feel you are not interested if you reject an opportunity to ask questions. Choose your questions wisely because questions can reveal your true intentions. For example, do not use this time to inquire about your salary or vacation days. Ask questions that imply your desire to be successful and work hard. For example, inquire about the company culture. This suggests your interest in the company and will help you assess if the company would be a strong fit for you. Like most skills, your interview skills will continually progress and develop. As you interview more, you will discover what works and your nerves will settle (hopefully). Practice makes perfect. Best of luck! It feels like in today’s world, people are constantly bombarded with messages and advertisements throughout their day. According to research, the average person can see or hear up to 5,000 ads a day. Media outlets and advertisers continue to innovate and dive deeper in their tactics. 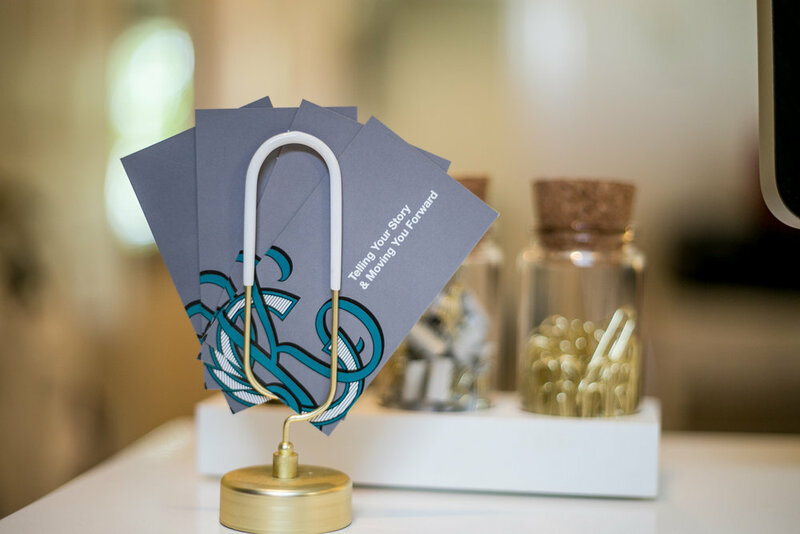 For many businesses, it can seem daunting and overwhelming to get their message through as they build their brand. When you build your strategic plan for your business, I encourage you to bring it back to basics and include relationship building. While there are many different approaches to do so, building a relationship with your target audience will benefit and further your business. Word of mouth is your best advocate. As we said previously, we are bombarded with messages constantly. Whether we are looking at a InstaStory or driving home from work, we see messages from brands but rarely absorb them. What do you remember? Your friend telling you about the moisturizer she recommends, or the laundry detergent your mom told you to use. The words that we hear from our trusted network of friends and family carry weight. Therefore, as you build relationships in your business and focus on connection, it will create a ripple effect through that individual’s community. It builds a true connection, resulting in loyalty and a sense of enrollment. When you build relationships with your target audience, it results in a true two-way connection. As these people learn about your brand, they feel like they are a part of it. They advocate for you amongst their friends, they show up to your events, and they feel like they are part of telling your story. If the day ever comes where your business makes a mistake, they are loyal to your brand and are able to see past an isolated incident. It creates the space for communication. Once the relationship is formed, it allows for valuable communication to take place. As you generate innovative ideas for your business, you now have a group of people to talk it through with. Some of the best results come from collaboration and listening to the customers’ needs. They also trust you and value your business enough to share their feedback with you. You will find them sharing ideas or opportunities that you may have otherwise never known about. While these benefits of relationship building all sound great – how does one go about implementing this with their business? Conduct a SWOT Analysis – What are the strengths and weaknesses of your business? Are there any external opportunities or threats? Brainstorm unique ways to build relationships – This may look like hosting events, creating an influencer program or even shifting how you interact with your target audience to allow for a relationship to form. Don’t take on more than you can handle – the goal of relationship building to create intentional relationships. It does not have to be an elaborate plan. Create a vision that you know will work with the other facets of your business. While they take time to grow and flourish, the relationships that you build for your business will reap beneficial results. Seek to build genuine connections and create a community the supports your organization’s growth through feedback and enrollment.